This is a really interesting origami star. It’s three-dimensional, and hollow. You get a nice big star, about the same size as the paper you start with. It’s nice to use thicker paper for this origami star but you can use thin origami paper like I did for the tutorial. The modules are pretty easy to make and put together. You can fold the little triangles outwards to reveal the inside of the star or leave it closed. I prefer it to be open, I feel like you would need to glue the flaps if you wanted it shut completely. Final model size: 15 x 15 x 6 cm. If you have trouble with the diagonal creases starting at 2:53, check out the screenshot to the right, hopefully it will give a clearer idea of where the lines match up. 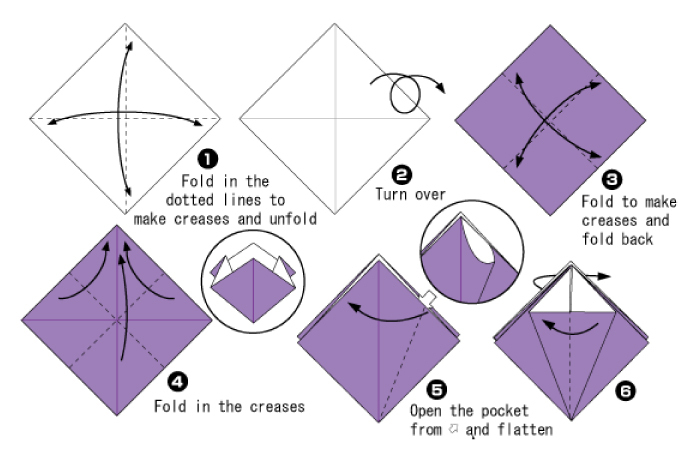 I’ve tried using different methods to achieve these folds and this method gives the best outcome, but you can also get them by following the diagram underneath and then openening back out, then follow the tutorial as normal. 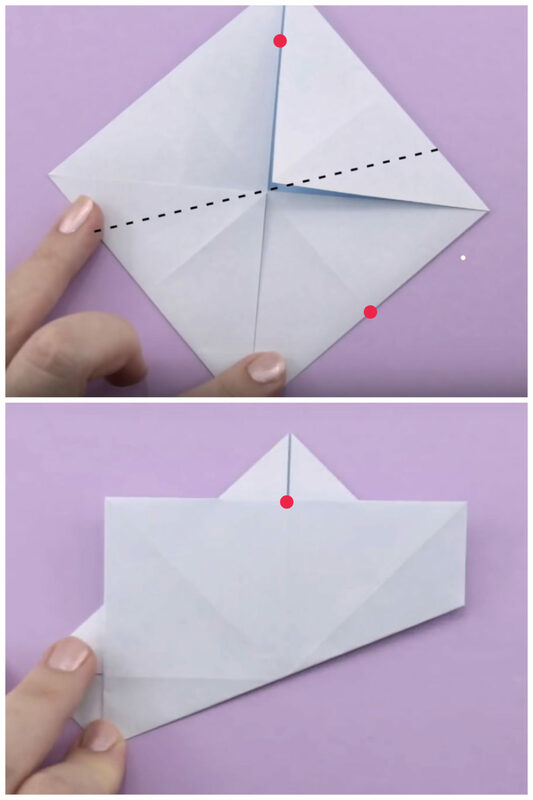 How to make an origami ninja star that has straight points instead of slanted. This easy modular origami star is made from 2 sheets of square paper, no glue or cutting is needed. Learn how to make an origami compass rose star. It’s easy to make from 1 sheet of square paper. With a flower on the front and a square at the back of the star, it looks nice on both sides.